TripAdvisor’s annual Travelers’ Choice Awards were recently released and Kelowna was ranked in the ‘Top 10 Destinations in Canada.’ Touted as a destination hugged by orchards, vineyards, and the stunning Okanagan Lake, with stellar locally inspired restaurants, hands on agriculture properties and immersive tours to take advantage of, Kelowna is one of three B.C. destination’s recognized solidifying that west is best. An algorithm took into account the quantity and quality of reviews and ratings submitted by travelers for hotels, restaurants and attractions in destinations worldwide, over a 12-month period. The awards honored 418 remarkable destinations in 24 lists across the globe. Myra Canyon Park, “Set up high in the mountains around Kelowna, we walk the old railroad trestles. The beautiful scenery, the fresh air and the easy walk make the outing very relaxing and enjoyable.” TripAdvisor, 2017. Knox Mountain, “This is a great hike with your reward being the amazing views.” TripAdvisor 2017. Experience Wine Tours – Day Tours, “Wine touring is always fun but Matt was able to elevate the experience through his knowledge, engaging personality and connections with the staff at the wineries.” TripAdvisor 2017. It’s a phenomenal recognition to be ranked by those who visit our city and take the time to share their positive reviews, high scores, and storied insights from their travels. 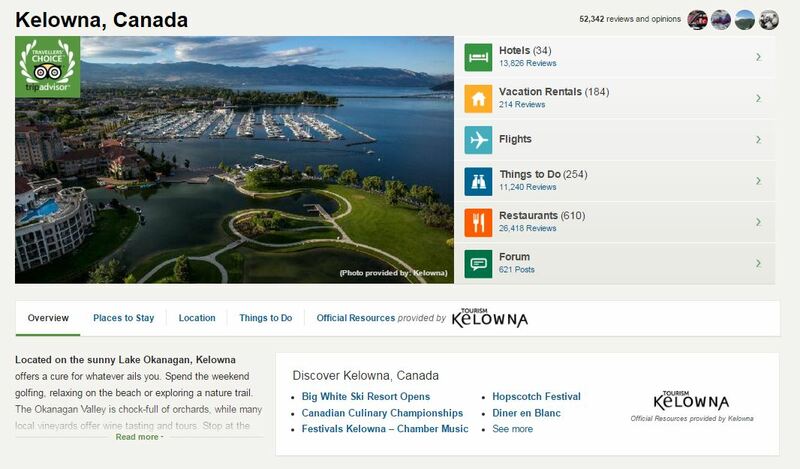 Kelowna’s reputation as a first-choice destination continues to grow, and the TripAdvisor ranking reinforces this sentiment. 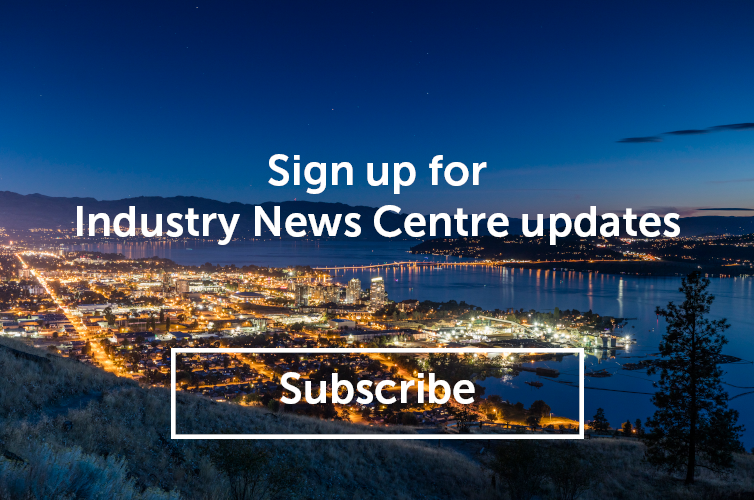 Tourism Kelowna markets our destination to create interest and demand to travel to Kelowna, and it is our entire tourism industry that creates dynamic and memorable experiences that led Kelowna to this distinction. Thank you for your continued support as we encourage visitors to #ExploreKelowna, and congratulations on this well-deserved award! You can see the full top 10 list here.